Gatlinburg, TN is one of the most kid-friendly vacation destinations in America! Whether you’re traveling with toddlers or preteens, your family is guaranteed to have a blast in the Smokies. To help you make the most of your getaway, Aunt Bug’s Cabin Rentals has put together a guide to five of the best Gatlinburg activities for kids. 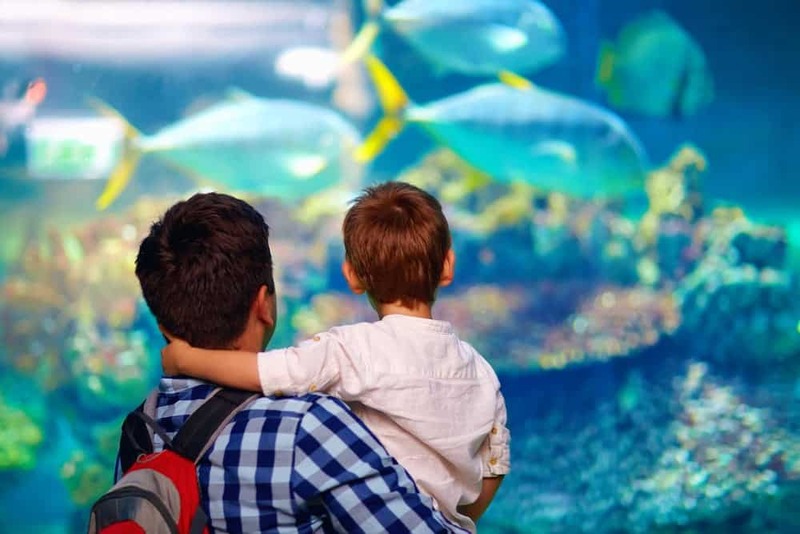 Your kids will absolutely love visiting Ripley’s Aquarium of the Smokies. This stellar aquarium has been ranked among the top 10 aquariums in the nation by TripAdvisor, and it’s easy to see why. Visitors will have the chance to observe over 10,000 sea creatures, with everything from sea turtles to sharks. A highlight of the aquarium for young guests is the Penguin Playhouse, a special penguin habitat with clear tubes that kids can climb through to get a closer look at the birds. If your kids are anything like the ones we know, they are big fans of pancakes. Fortunately, the city of Gatlinburg is the pancake capital of the United States! While there are countless breakfast restaurants in the Smokies, the most legendary place for hotcakes in Gatlinburg is the Pancake Pantry. This restaurant was the first pancake house to ever open in the state of Tennessee. Your kids will love digging into the Pantry’s delicious Swiss Chocolate Chip Pancakes or Silver Dollar Pancakes. Spending an afternoon at Fannie Farkle’s is another one of the best Gatlinburg activities for kids. This awesome arcade is home to the perfect mix of retro classics and state of the art video games. Instead of tokens and tickets, Fannie Farkle’s uses a convenient card system that automatically keeps track of all your points. Once your kids have had their fill of the games, they can redeem their points for a variety of fun prizes. If your family gets hungry during your visit to Fannie Farkle’s, be sure to sample one of their famous “Ogle dogs”, the biggest and best corn dogs you’ll ever have! Mini golf is a classic vacation activity that every member of your family can enjoy. Gatlinburg is home to a variety of great mini golf courses that are perfect for players of all abilities. One of our favorite places for putt-putt is Gatlin’s Smoky Mountain Fun. This popular attraction is home to two superb outdoor mini golf courses and an indoor blacklight course. Each course has something special to offer, so you can try all three for 54 holes of fun! In addition to all of the wonderful Gatlinburg activities for kids in town, your little ones will also enjoy all of the great entertainment right at your cabin. When you stay at a cabin with a game room, your kids will have a ball playing pool, foosball, or air hockey. Some of our properties also come with special theater rooms that are ideal for family movie nights. Don’t forget to make some popcorn or snacks in your cabin’s fully furnished kitchen before the movie! To start planning your next vacation, browse our selection of Gatlinburg cabin rentals!